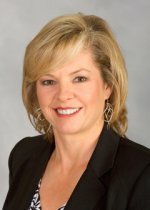 MCLEAN, Va. - Hilton Worldwide announced the appointment of Sherry Romello as senior director, Hilton meetings and product management. Romello reports to Dave Horton, global head, Hilton Hotels & Resorts, and leads efforts to advance the positioning and product development for the meeting and convention segment across all Hilton Worldwide brands, with a significant focus on Hilton Hotels & Resorts. Romello joined Hilton Worldwide from the National Association of Convenience Stores where she held the position of vice president, Meetings & Conventions. Romello began her position in January and is based at Hilton Worldwide's Global Headquarters. "Our appointment of Sherry in this role represents a bold move - one that demonstrates our innovative thinking and commitment to the evolving meetings profession," said Dave Horton, global head, Hilton Hotels & Resorts. "In an industry where meeting professionals are vying for a seat at the executive table and becoming more relevant within their organizations, we have made the strategic decision to hire a meeting professional as our product manager. Hilton is a longstanding leader in this segment and committed to the success of this important community." Romello brings more than 20 years of experience to her new role at Hilton Worldwide. She has led all aspects of conference and exposition planning, ranging from large national annual conventions and mid-size conferences to small meetings with attendees ranging from 50 to 23,000. Prior to the National Association of Convenience Stores, Romello served in senior management meeting planner positions with major companies including the National Recreation & Park Association, National Apartment Association, Intelligence Press Inc., National Association of Chemical Distributors, American Waterways Operators and the National Association of Chemical Distributors. "Hilton has long been the world's leading address for meetings and events in markets around the world," said Romello. "My unique perspective and experience will make a considerable difference as we continue to innovate Hilton products and services to meet the needs of our clients." One of the most recognized name in the industry, Hilton Hotels & Resorts stands as the stylish, forward thinking global leader in hospitality. From inaugural balls and Hollywood award galas to business events and days to remember, Hilton is where the world makes history, closes the deal, toasts special occasions and gets away from it all. The flagship brand of Hilton Worldwide continues to build upon its legacy of innovation by developing products and services to meet the needs of tomorrow's savvy global travelers while more than 144,000 Team Members shape experiences in which every guest feels cared for, valued and respected. Today, the Hilton Hotels & Resorts portfolio includes more than 540 hotels in 78 countries and the brand remains synonymous with "hotel." Access the latest Hilton news at www.hiltonglobalmediacenter.com or begin your journey at www.hilton.com. Social media users can engage with Hilton at www.twitter.com/hiltononline, www.facebook.com/hilton and www.youtube.com/hilton. Hilton Hotels & Resorts is one of Hilton Worldwide's ten market-leading brands.